Both 1st edition and 2nd edition chapters are displayed below. Since the 2nd edition table of contents is different from the first edition, the 2004 first edition chapter numbers may not match the table of contents below. View this text online or download the entire 2004 first edition text for your tablet, computer, or mobile device. Second edition text will be available for download when it is completed in late 2015. This might take a long time to download. Please be patient. The Word version will probably auto word wrap on the small tablet or mobile device screen, but it might incorrectly word wrap tables as well. This might take a long time to download. Please be patient. The PDF version will not auto word wrap so it will require you to scroll a small tablet or mobile device screen back and forth, but it will retain the correct alignment of the tables. Test your knowledge: Questions and answers at the end of each chapter from the 2004 first edition text. Click here to download the entire set of questions (120 pages) from the 2004 first edition text. Click here to download the entire companion answer set (66 pages) from the 2004 first edition text. First edition chapters are in light colors. New second edition chapters are in darker colors. MS3 - These are chapters designated as the curriculum content for the third year medical student pediatrics clerkship. 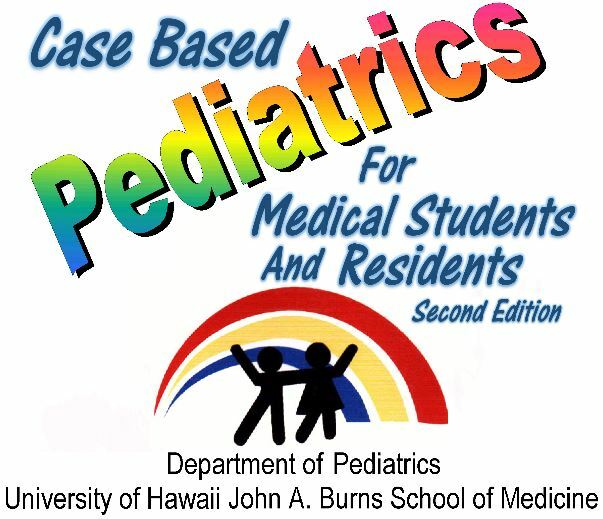 MS4 - These chapters contain additional information that should be acquired by fourth year medical students destined for pediatrics residency. R - These chapters contain information that should be acquired by pediatric residents during their pediatrics residency.